This event is free and open to the public. RSVP’s are not required to attend, only encouraged. Abstract: What is a blindspot? And what might it teach us about how we look, how we think, how we desire, and how change occurs in the world? I have built a blindspot machine (a unique camera rig) that, instead of exposing blindspots (the violent desire of the dominant university discourse), produces them. “To produce the blindspot,” it will be argued, can be understood today as a unifying principle of radical art, politics, and intellectual work. This event is co-sponsored by the Department of English. 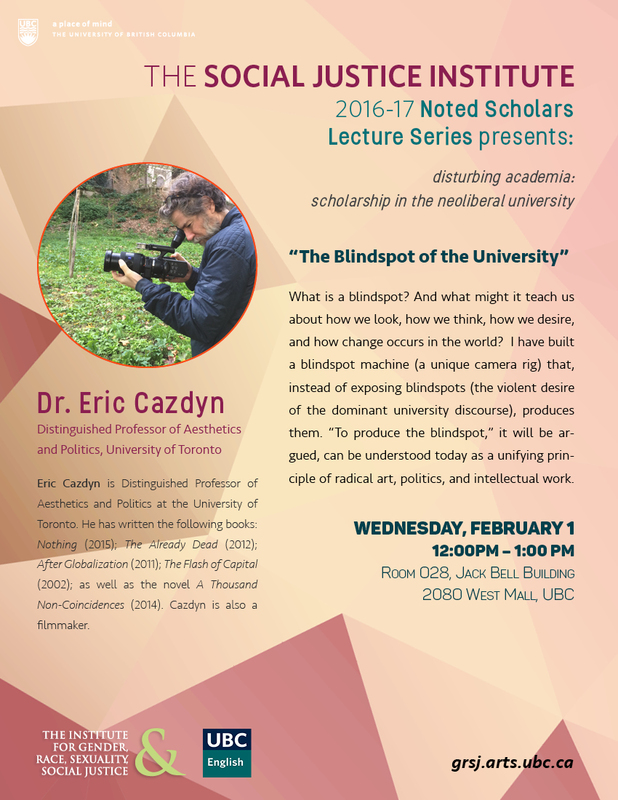 Eric Cazdyn is Distinguished Professor of Aesthetics and Politics at the University of Toronto. 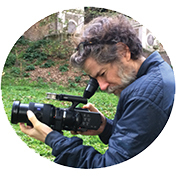 He has written the following books: Nothing (2015); The Already Dead (2012); After Globalization (2011); The Flash of Capital (2002); as well as the novel A Thousand Non-Coincidences (2014). Cazdyn is also a filmmaker.